In lieu with the current trend for natural skincare, Kiehls had came up with an East meet West power combo to nourish our skin! 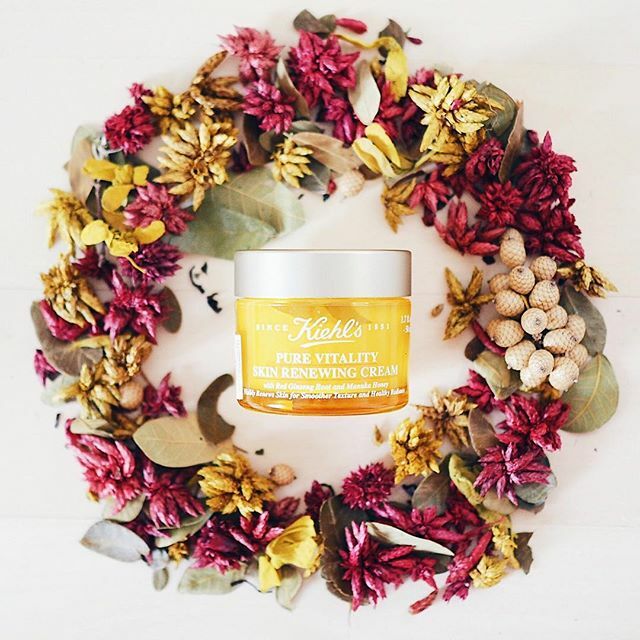 Made from naturally derived New Zealand Manuka Honey and Korean Red Ginseng Root, Kiehls Pure Vitality Skin Renewing Cream is proud to moisturize dehydrated skin while repairing existing skin damage. It is also said to revitalize skin for smoother texture and renewed radiance!